Day nine. Not much time to spare, but I wanted to draw based on the idea I got two days ago. So I make it real quick, with the usual brush and ink. No. That’s a lie. This comic is still one of those I love most even today. Right now. This second. Can you tell what comic it is? ~ by edwinlives4ever on October 9, 2014.
kaya siluet luckyluke deh ya.. how are you bro.. Thank you. 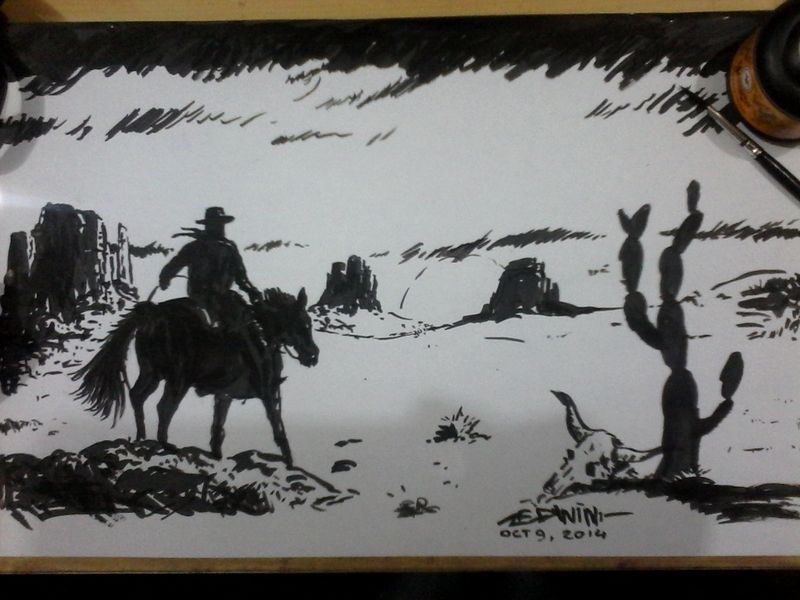 It’s just a quick-draw.